There is, however, a catch. He isn’t pretending this time. 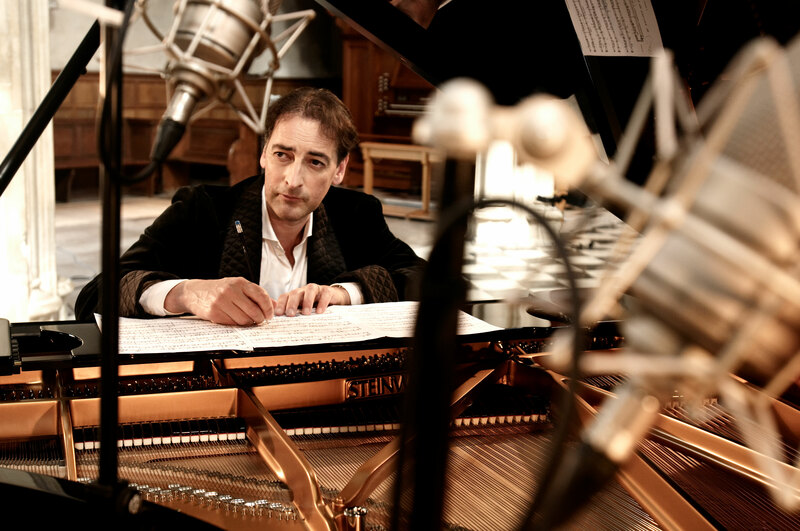 Alistair McGowan shares with us his most incredible impression to date; being a classical pianist. There is, however, a catch. He isn’t pretending this time. Being a very successful comedian, impressionist and actor, McGowan has spent years mastering the art of pretending to be other people in the name of comedy. But underneath all that, playing the piano is something that Alistair McGowan himself loves. He has a very serious and quite beautiful love for classical music, in particular for composer Erik Satie, and he is about to tour the UK with his show, ‘Introductions to Classical Piano’. The Worcestershire-born comedian – and now pianist – will be one of the first to combine both comedy and classical piano into one performance. “I want to prove to people that it doesn’t work!” he jokes in the trailer for his new show. It was quite a surprise when McGowan announced back in 2017 that he was releasing ‘The Piano Album’ – his debut recording. What exactly was it that prompted such a drastic career change? McGowan was happy to answer all of our wonderings when he spoke to Pianist recently. "I had always wanted to play the piano. I have loved so many pieces of piano music over the years many of which I know I will still never be good enough to play. But a chance meeting by a piano on a cruise ship with a young pianist, Lucy Colquhoun, who told me I had some talent and that it was never to late to learn gave me the belief to go with my enthusiasm." Did you play the piano as a young child? "I did two years as a child from 7-9 but gave up after Grade 2." In 2017, you actually admitted at the time that you could only play two pieces prior to working on your debut album. How did you get your playing level up in preparation for the release? "With a huge amount of practice! I suffered with sore thumbs and wrists and 'peddlar's knee' along the way. Ice packs were used! But I couldn't ever have done it without the excellent teaching of Anthony Hewitt. I also had a wonderful producer in Chris Hazell who made me work harder than I thought I could at obeying every composers' markings!" How did it feel to release your first ever piano solo album? "It was a dream come true but, as my agent said to me, 'a dream I didn't know I had'. I was terrified it would be totally laughed at but - although there was some comment about the pieces not being very difficult (that was the whole point, in fact), I think I got away with it!" How have you managed to combine your two passions? Do you have time to practise? "I love practising. It very rarely feels like a chore. I do find starting a piece always makes me feel like I know nothing - my sight-reading is awful and it takes me weeks to get a piece down, notes-wise alone. I do watch much less television as a result, however, which could affect 'the day job' in time but I don't miss it and, as you get older, I think it is even more important to do what makes you happy. Playing the piano does that for me every day." 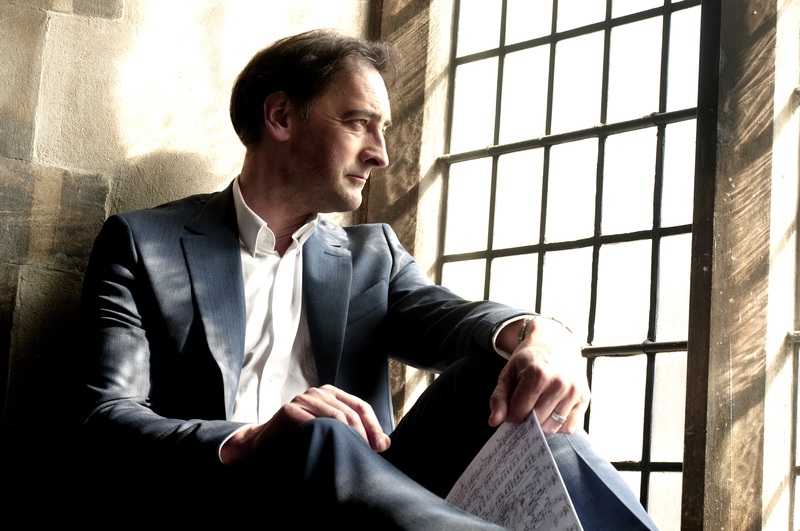 Alistair McGowan will bring his 'Introductions to Classical Piano' to Leeds on Sunday 7th April. Whose works do you enjoy playing the most and why? "Anything by Debussy is an incredible challenge for me but I love the wash of sound. It sounds like you can do with his pieces what you will but obeying his precise markings always yields the best effect! Similarly, following John Field’s pedalling creates much better effects than doing your own! I struggle with most German music…"
You regularly speak about your admiration for Erik Satie. What is it about him that fascinates you? "His music is just so beautiful to play - and not always as simple as it sounds - but he also had an incredible life and left us some Milligan-esque writing as well as his innovative music." You will be performing at Besbrode Pianos in Leeds on 7th April as part of the Leeds Piano Festival. What can we expect from the show? "I play fourteen or so short piano pieces (including Gershwin' s Second Prélude, John Field's Nocturne no 1, Debussy'a Cathédrale Engloutie, Bill Evans' Peace Piece and Philip Glass' Metamorphosis No 5 ) which I introduce with some light-hearted biographical facts about each composer, some words about my own piano journey and all with an added sprinkling of impressions. I think it's a first!" "I will be back on the stand-up trail with Jasper Carrott in November."